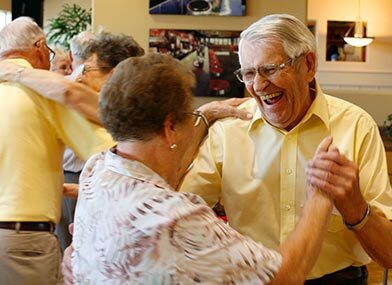 Fun and interesting activities can have a big impact on your health and happiness, so we strive to offer many options - making every day something new to experience. Bonaventure is as much about belonging to a vibrant and lively community as it is about having a nice place to live. Take a peek at our planner to see all the ways you can stay social, healthy, involved, and entertained. 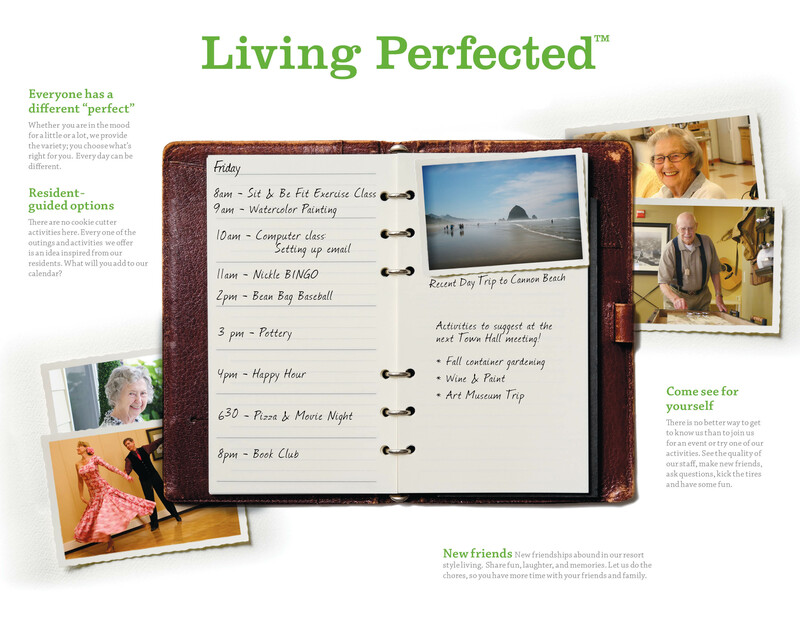 Living Perfected events like resident meetings, worship services, fitness classes, and cocktail mixers happen daily. Since variety is the spice of life, we offer up to 16 Living Perfected activities a day, and you’ll have more than 10 different excursions and events to choose from! Throughout the year we host many extra-special seasonal and holiday events to celebrate (and also as an excuse for cake and pie). Having fun is something we’re pretty familiar with. After all, we have Living Perfected. Our calendar is full of all sorts of classes, performers, interest groups and other community events, so there’s sure to be something you’ll like. If crocheting has never been your forté, take a class to master it! We host pizza parties in our movie theater, play bean bag baseball with the staff and tailgate for the Super Bowl! Since more is always merrier, we’re happy to welcome your family and friends for the fun, too! With activities abounding, you can take a leap and try something new, or simply stick with what you love… it’s up to you. This should be your chance to have exciting experiences if you want… and we’re happy to indulge you. We host exceptional excursions that we hope leave you with a big grin and great memories. Some opportunities might be new to you… like day tripping to a historical landmark, soaring high in a hot air balloon, or riding in a biplane! Or we’ll treat you to a trip that epitomizes the leisurely lifestyle you’ve earned, like lunch at a local winery. So if you’re up for an outing, buckle up… and let us take you out for a lovely day!